Roland Systems Group has announced the Roland VR-50HD, an all-in-one AV Mixer with output for web streaming and recording. The Roland VR-50HD fully integrates an audio mixer, video switcher, multi-viewer touch screen and USB video/audio streaming into a stand-alone device controllable by a single operator. This unique product adds HD/multi-format capability to the very popular all-in-one VR Series that includes the Roland VR-5 and VR-3 AV Mixers. Typical live events today, whether large or small, all require a wide variety of equipment and needs in order to produce. The VR-50HD results in a reduction in hardware equipment, setup time and connection complexity ensuring a worry-free, easy to use solution for any event. 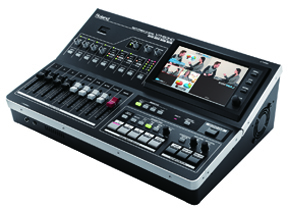 The video side of the VR-50HD includes a 12-input, 4-channel multi-format video switcher that also includes a still store channel for graphics, logo or frame capture. Inputs can be 3G/HD/SD SDI, HDMI, RGB/component and composite. Output includes USB and both a Main and Aux bus, both available via SDI, HDMI and RGB/Component connections. An additional HDMI output is included for an external multi-viewer monitor if desired. The audio section is equally impressive with a 12-channel digital audio mixer at the heart. Sources can be mixed from any of the 12 analog inputs or from audio embedded in the 4 SDI or 4 HDMI inputs. Audio processing includes audio-follow settings as well as gates, compression, PEQ, delay, reverb and even mastering capabilities on the main output. Audio is mixed and re-embedded into the SDI, HDMI, and analog Main and Aux buses as well as the USB output. The USB 2.0/3.0 output enables web streaming with ease by simply connecting to a computer running a live streaming service such as USTREAM. 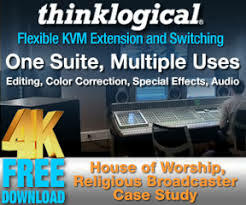 Recording is equally simple by using QuickTime or the dedicated Windows/Mac capture software, VR Video Capture. The interface is intuitive with dedicated audio faders, gain knobs, video input selectors and touchscreen monitor. The monitor enables a clear way to view, operate menu function and switch video sources. It can provide multiple views including a four or seven channel multi-viewer configuration. The VR-50HD is HDCP compliant which allows you to mix copy-protected game, tablet, and Blu-ray content with other computer and camera sources. 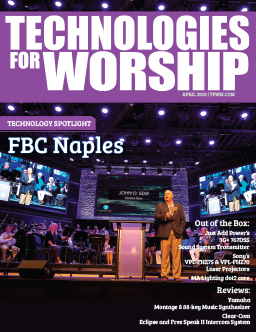 This portable live HD production solution is ideal for schools, churches, council meetings, corporate events, sports, trainings, or any production live to web. 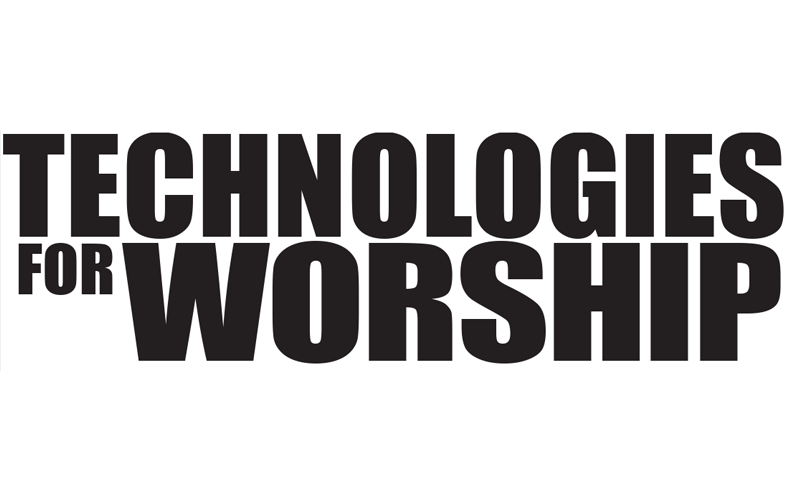 The Roland VR-50HD is being shown June 12-14 at InfoComm in Orlando, FL at the Roland Systems Group booth #1458.